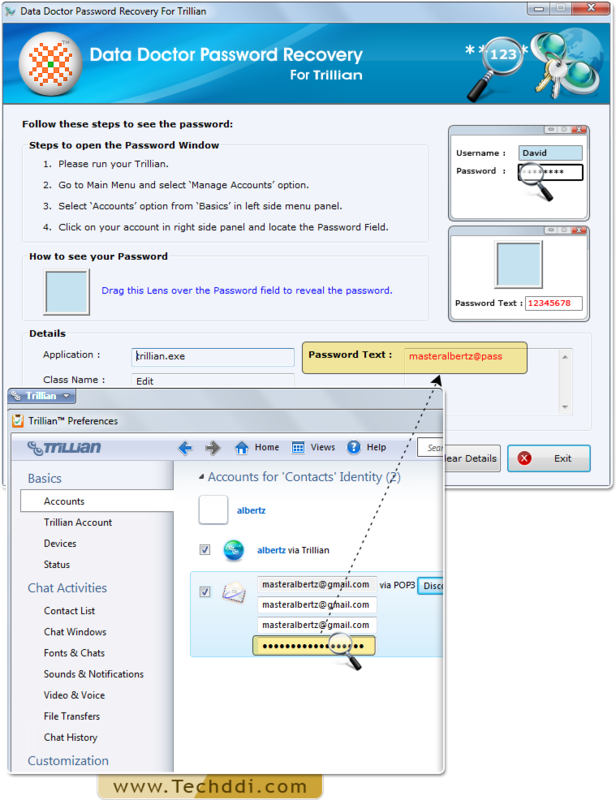 Password Recovery For Trillian Messenger retrieves forgotten unique and identity passwords, multiple accounts passwords and special character password from Trillian Software. 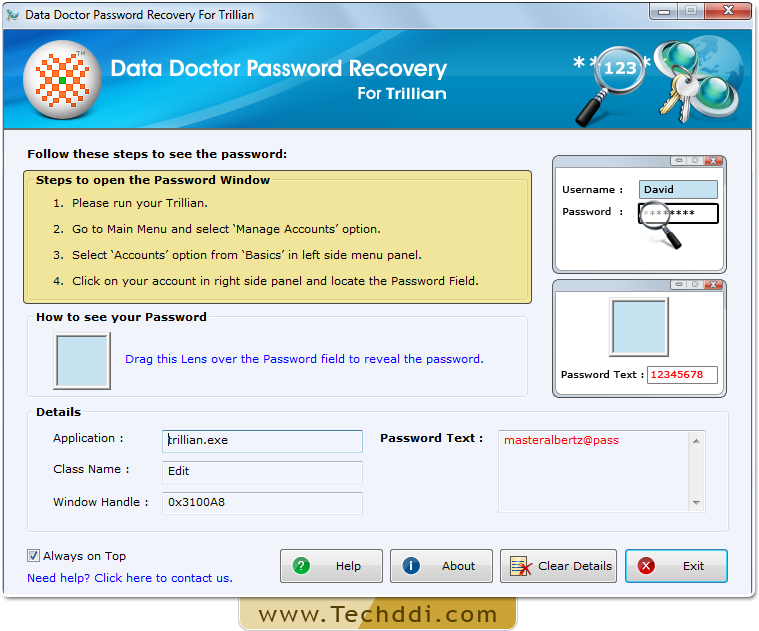 Run Password Recovery For Trillian Messenger and follow password recovery steps. 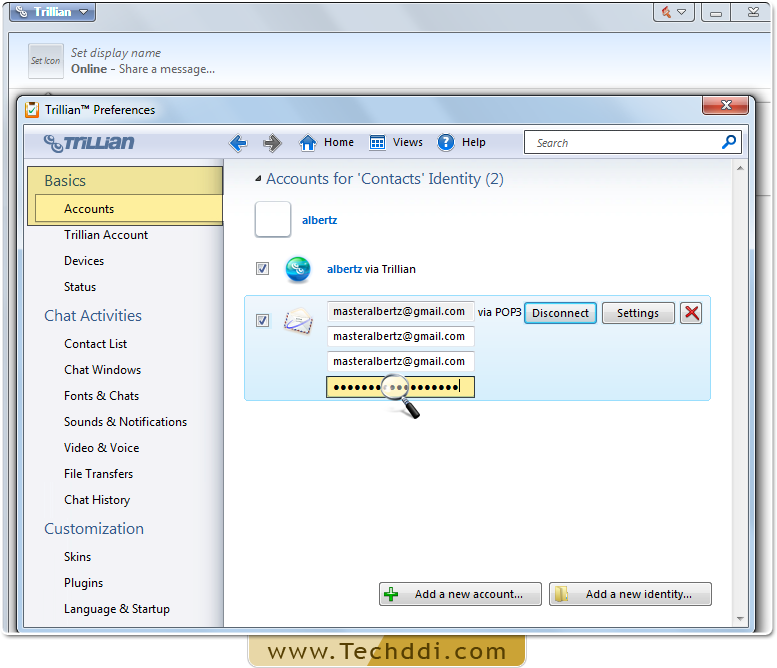 Run Trillian Software and Go to Main menu to 'Manage Accounts'. From Left panel, go to ‘Basics’ to select ‘Accounts’ option. 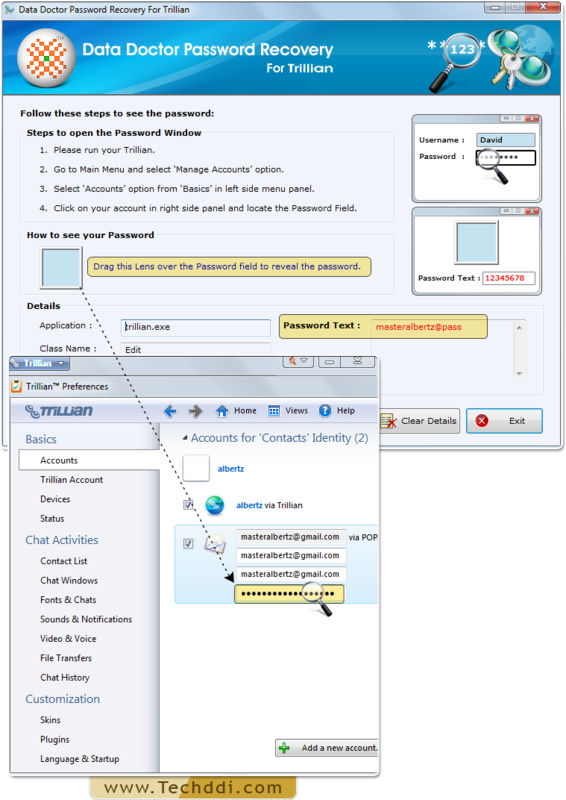 Locate the password field among account details by dragging lens over it. 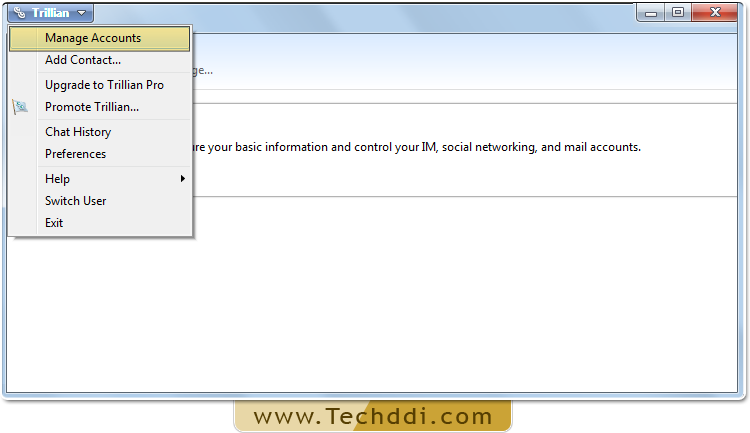 Revealed password will be displayed in password text field as shown above.